I used these products for several weeks trying to determine whether or not to make a do buy/ don't recommendation. When it comes down to it they are pretty close: same packaging, smell, and effect on your skin. However, the CVS version is just a little bit thicker and leaves your skin a little bit slimier. If you have time to let it dry it's no problem, but when I was rushing off in the morning I found myself reaching for the CeraVe. 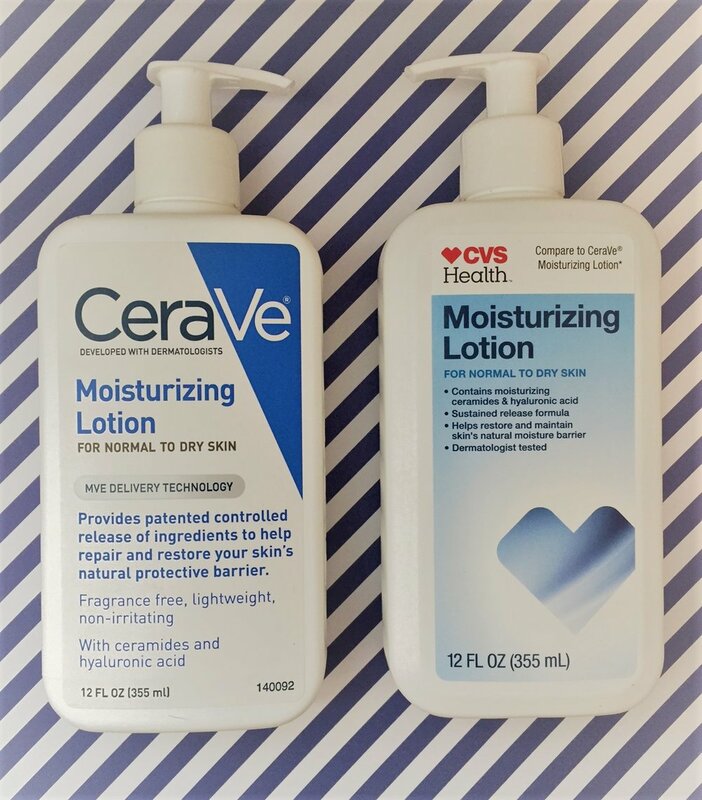 So, if you like a thicker lotion go with the CVS version, but if you are looking for a lighter, quick drying moisturizer stick with CeraVe.